This month we are putting the focus on each category in the Saboteur Awards so voters can get a taster of the works they are not familiar with. Below we’ve included an extract from each of the shortlisted pamphlets to tempt you… Remember to vote before 30th April! Oh look, a complete set of the poetry pamphlets shortlisted in the #saboteur17 #saboteurawards17 ! I love how Stephanie renders the secret and hidden moments of life. Moments expanded and made meaningful when we might otherwise overlook them. 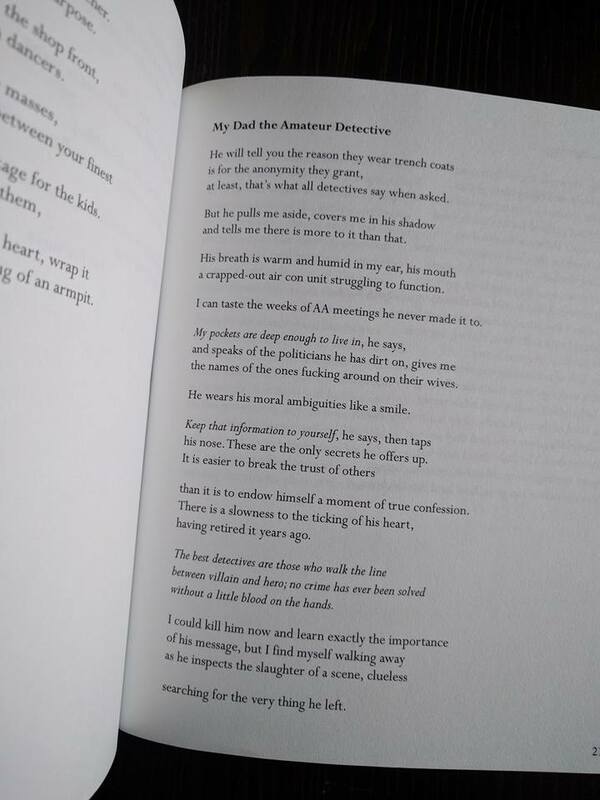 This collection of poems was most evocative for me. I know the islands and the sense of place and characters described were very moving. An exceptional poetry booklet in my opinion. 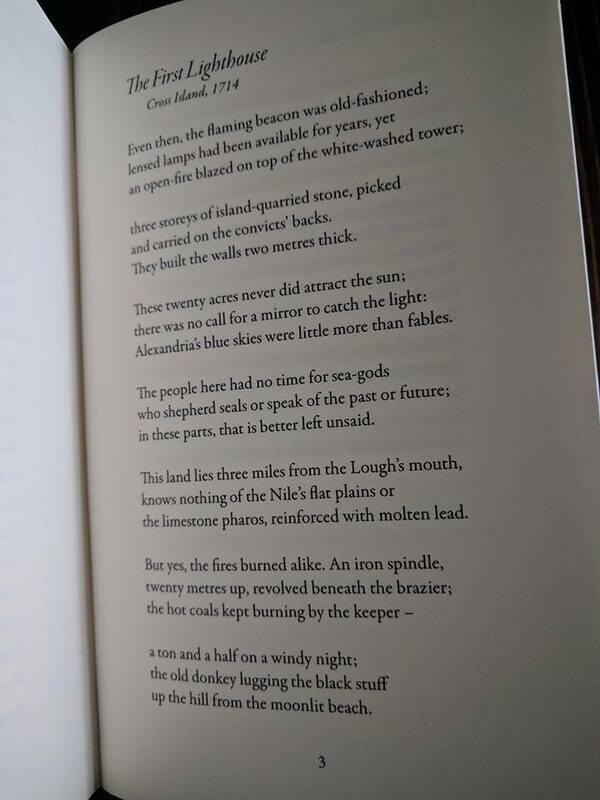 Beautifully written emanating from the history of a little known on island off the Co Down coast. Everything is Scripted is my first pamphlet and it won Templar Poetry’s book and pamphlet competition in 2016. 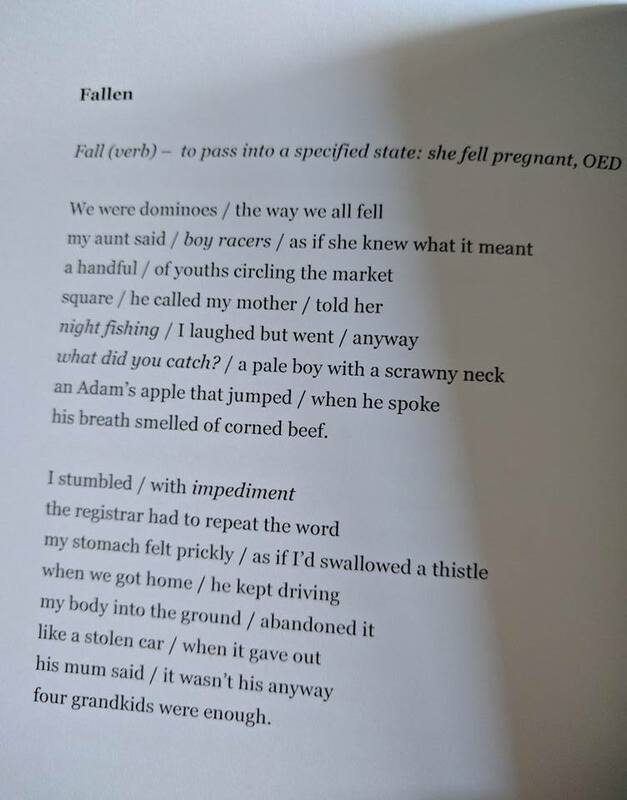 Some of the poems were written as part of my MA Writing submission at Sheffield Hallam University. In 2015 I was awarded a Northern Writer’s Award. I am currently working on completing a full collection. 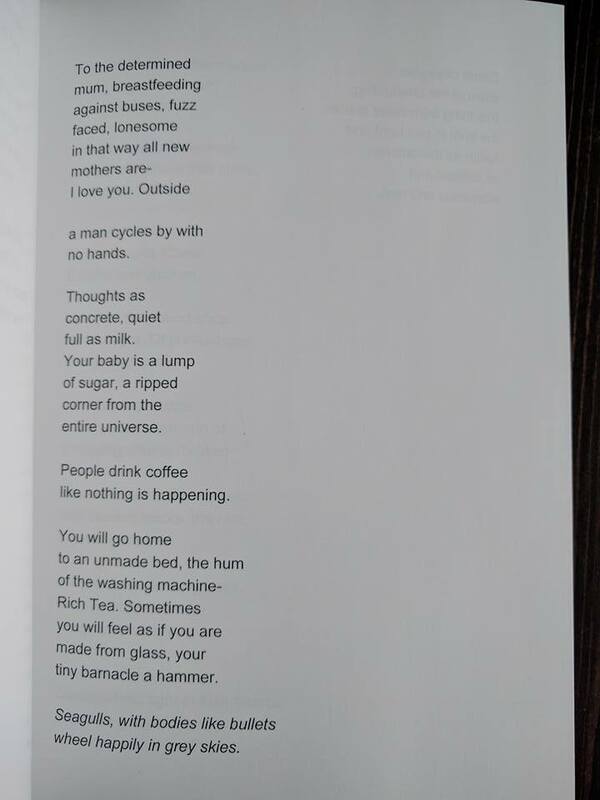 Extraordinarily mature first pamphlet dealing in a new and fresh with an old but not over explored areas – male relationships with an absent/failing father. 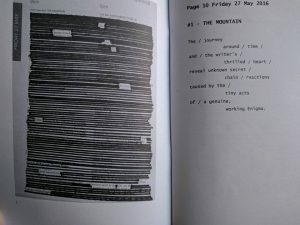 Unusual collection – the voice seems to be hiding behind irony and off-kilter humour, but it’s actually deadly serious. A book that’s both funny and has a strong emotional anchor. 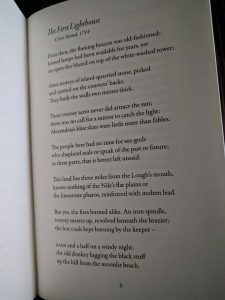 Emma van Woerkom is a Poet, Poetry Film Maker, a fully trained Shared Reading Facilitator (trained by the Reader Organisation, UK), and winner of the 2015 Richard Booth Prize for Non Fiction. She is the author of the poetry pamphlet Beside the Seaside, funded by the Heritage Lottery (2014). 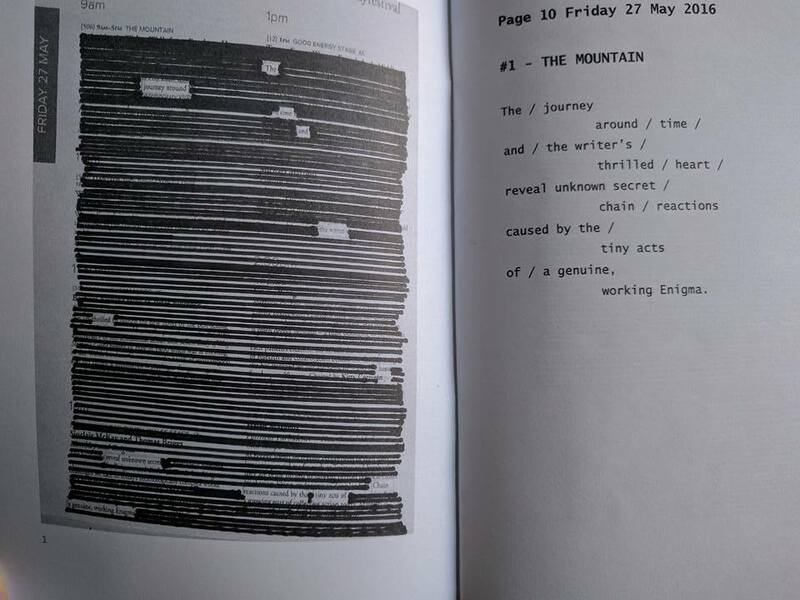 Her second pamphlet ‘FOUND ME’ is a collection of ten experimental blackout poems, including accompanying images, ‘re-awakened’ from the Hay Festival programme 2016. Limited to an edition of 100 signed and numbered copies, sold in support of keeping Hay-on-Wye public library open and professionally staffed. 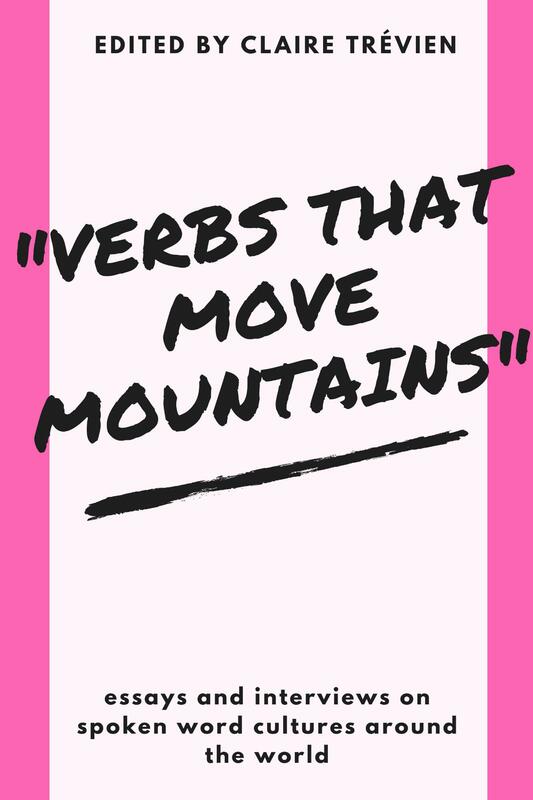 Exciting and different – made me think about how we select and use words. 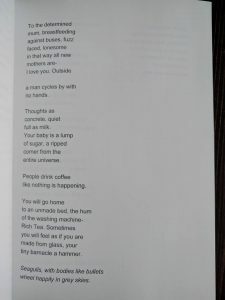 The poems themselves are fantastic, even if you don’t consider the method used to compose them. Considering they were composed using the black-out technique, they are nothing short of a miracle. That would be enough, but Emma also chose to support a very important cause by publishing the pamphlet, and that also counts on my book. Brilliant concept – high difficulty – superb result. Also supports local library. Bravo! Elisabeth Sennitt Clough was born in Ely, but spent two decades living and working abroad. 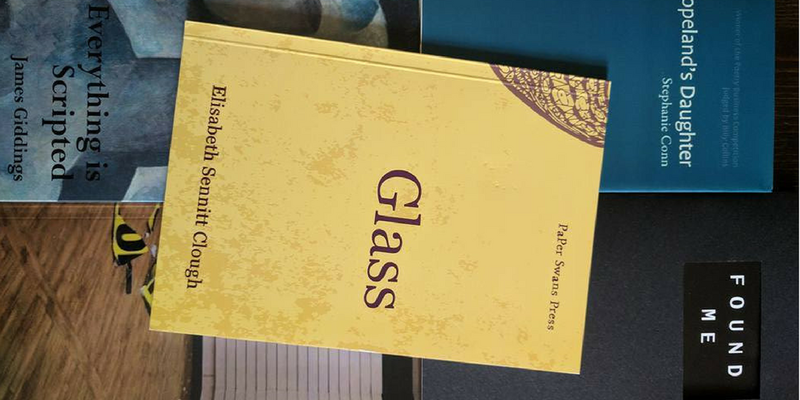 Elisabeth’s pamphlet, Glass, was a winner of the Paper Swans inaugural pamphlet competition. It went on to be a Poetry Society Young Poets’ Network Summer 2016 ‘pick’ and sold its first print-run in two months. 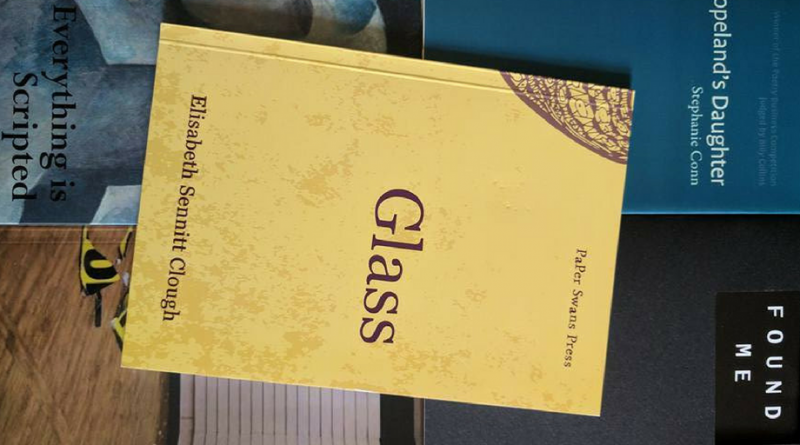 Elisabeth’s poems have been published in magazines such as The Rialto, Magma, Mslexia, The Cannon’s Mouth and Stand. She has won prizes in numerous poetry competitions and has been widely anthologised. Find out more about Elisabeth here. This is a tough, beautifully crafted pamphlet. Strong, moving poems based around the Fenlands, reflecting on relationships and beautifully written. Sennitt Clough writes with true elegance. Very accessible poems as well as striking imagery – a poignant collection with which most readers could identify. The best and most consistently rivetting poetry pamphlet I read this year. 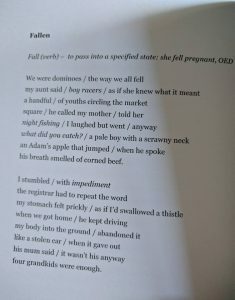 In 2016 I set out to write a poem a day at my local shopping mall in Walthamstow. It was very informal, the poems came easily. I love people best so my heart broke a bit after Brexit- perhaps this shows in the work. I am really proud of this pamphlet, it is honest I think. I float around these places all the time, as ghost and participant. There is a quietness to unemployment and occasional work- both have a very particular space around them. The everyday is absolutely the best place to find beauty though, and love. 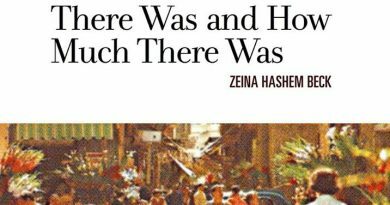 Her poetry is casual and throwaway but at the same time shockingly intimate. It’s normal but completely abnormal at the same time and the combination makes each closer to the other and cuts deep into whatever subject she writes about. The pictures she paints are colourful and muted and beautiful. Waves on a boring beach is the only thing i’ve read that touched my heart, and my kidneys. Because Emma Hammond’s vernacular is intoxicating and spunky, like no other.